I’m a huge fan of oils, balms and serums, despite my love of face oils though, there are still plenty of people who are a little put off by them. Here’s the key: You have to figure out which face oil is right for your skin, and start slowly with just a drop or two. These nine skin care oils are some of the most popular, and they come highly recommended by experts. I remember using The Body Shop Tea Tree Oil, as a blemish spot treatment when I was in school. It feels and smells more like an astringent than an oil. Studies have found that 5 percent tea tree oil is as effective at treating acne as 5 percent benzoyl peroxide. Recommended as a gentle, natural alternative to harsher acne treatments. If you have oily skin — even if you don’t have acne — you’re probably put off by the thought of using oils. But grapeseed oil (like peppermint oil) can actually help regulate your natural oil production, plus, it’s packed with antioxidants, including skin-brightening vitamin C.
This oil contains a high concentration of vitamin E and fatty acids, and it’s more stable in sunlight than other antioxidants — so it’s perfect to wear during the day. Blackcurrant oil is a favourite reparative treatment because it’s rich in fatty acids and has anti-inflammatory properties. (think laser treated skin, sun-burnt or wind burnt) It even works on eczema. The same way you can drink chamomile tea to relax, you can use chamomile oil to calm your skin. It soothes redness and irritation in a matter of seconds. It has amazing anti-inflammatory properties that make it ideal for patients with rosacea. Tip: Be sure to dab some on your wrist and wear it for a day to make sure you don’t have an allergic reaction and be especially careful with organic versions, since organic ingredients are treated with fewer chemicals, they’re often growing alongside weeds and other allergens, which means organic essential oils are more likely to have traces of those allergens than conventionally farmed varieties. The result? They’re more likely to cause allergic reactions on the skin. Contains essential fatty acids, an antioxidant (vitamin C), and a natural retinol (vitamin A), is ideal for scars, protecting your skin as well as increasing cell turnover. Use it as a boost for your moisturizer — just mix in a few drops before you apply. If you’re skeptical about putting oil directly onto your face, this is a great option. Not only is it super moisturising, olive oil is also rich in compounds like polyphenols, and fatty acids — all of which are nourishing and help fight ageing. This oil is one of the newest I have personally been introduced to. It’s great because it leaves no oily residue at all as it quickly absorbs into the skin leaving skin soft and silky. I would recommend this oil for those who don’t like the ‘greasiness’ or ‘sheen’ that an oil gives the skin as it sinks into the face/body leaving a matte finish. The oil produced is golden and very aromatic. 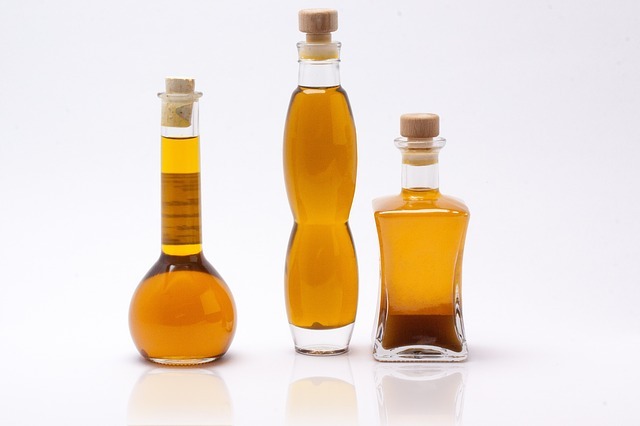 It is rich in oleic acid (60-80%), linoleic acid (15-25%), alpha tocopherols (vitamin E), vitamin B, pro-vitamin B5 (beta-carotene) and beta sito-sterols. This gives the oil excellent moisturising properties and great stability.